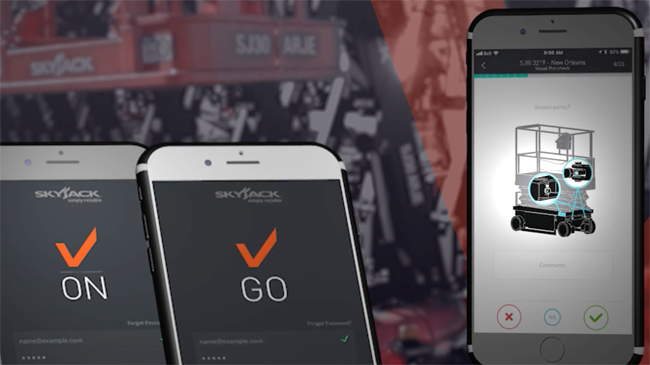 Elevate, Skyjack’s telematics solution, won a Leadership in Lifting Equipment and Aerial Platforms (LLEAP) Award in the category of OEM Features or Essential Components. LLEAP Awards focus on “innovations that propel the industry forward,” according to Skyjack. Nominations are evaluated by a panel of judges from industry-related fields. “This telematics system captures information that is important to off-road rental equipment, not an adaptation of on-road transportation systems,” one judge said, according to Skyjack. The entries were rated on innovative features, perceived value, and overall benefit to the industry. The platform scored 35.5 out of a possible 40 points, which Skyjack said was the second highest score across submissions from all sectors. Skyjack's ELEVATE from Skyjack on Vimeo.